When I was a young girl I lived in an apartment complex and I remember our next door neighbors were from India. Whenever they would open the door to their apartment this wonderful aroma could be smelled throughout the common hallway. I was too young at the time and really not focused on food, so I never asked them what spice they were cooking with. But when I started cooking Indian cuisine and exposed to different spices, I knew exactly what spice they were using when I purchased and opened up my first bag of fenugreek. It took me all the way back to 1968 and my apartment building and I finally knew what that wonderful aroma was. And even today, whether I use fresh fenugreek leaves, seeds or dried leaves in my cooking, I think of that family and I associate Indian cooking with the smell fenugreek. So there is an Indian restaurant near my husband's work and they serve the best Methi Thepla (fenugreek flatbread) that I've ever tasted. 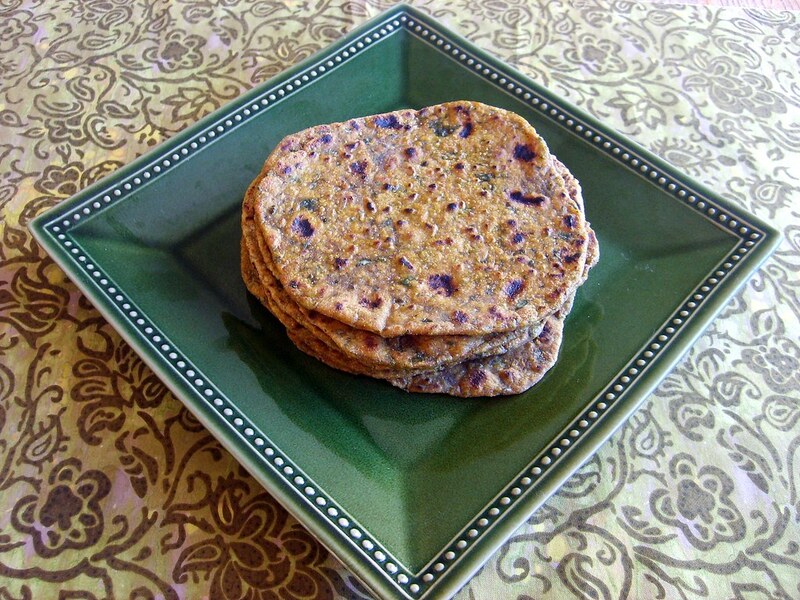 I have tried on several occasions, but I have yet to master making certain Indian flatbreads. 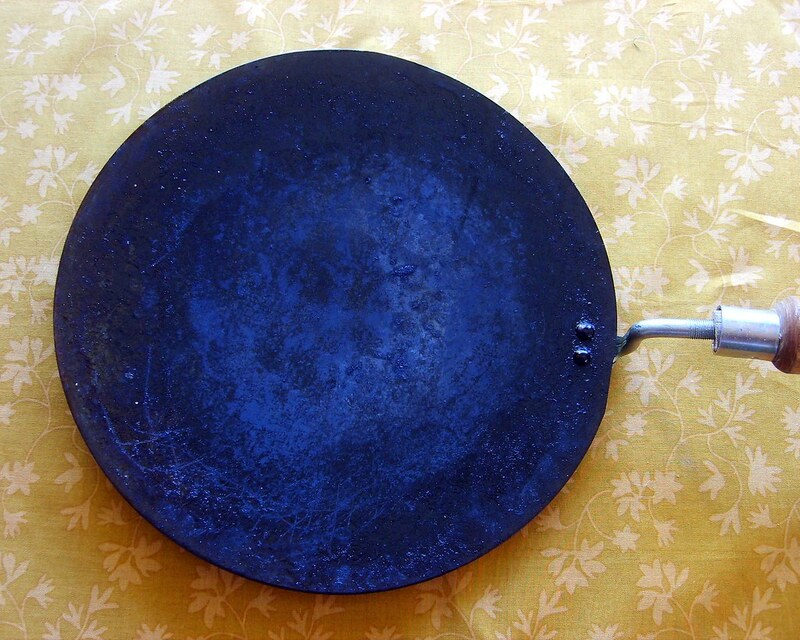 I even purchased a Tava (iron griddle) and a chapati rolling pin thinking that I had to have the right equipment. My Methi Thepla were very flavorful, but I still need to work on the texture. 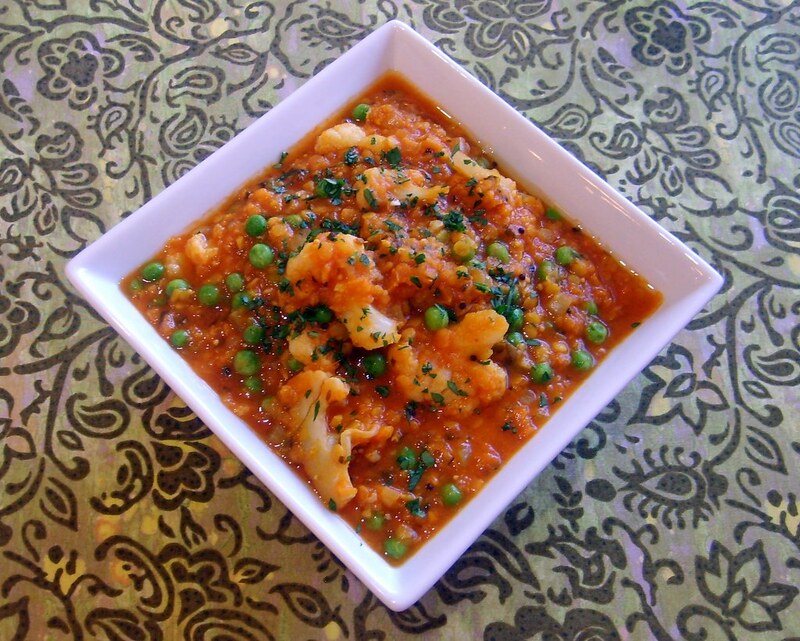 In the meantime, if you want to make the Red Lentil & Cauliflower Curry recipe below, I recommend that you purchase whatever flatbread you like, because you'll want to have something to soak up all the flavorful juices of the curry. And once I master the recipe, I will definitely share it, especially if it's as good as the restaurant's! In a medium sauce pan, heat canola oil on medium low, add onion and saute for five minutes until tender. Add garlic, ginger and spices and stir to combine. Add tomato puree, water, salt and pepper and bring to a boil. Add lentils and stir to combine and reduce heat to medium low and cook for about 15 minutes until lentils are soft. While lentils are cooking, steam cauliflower until crisp-tender. Just before serving stir in cauliflower and frozen peas and heat through. Finish with a squeeze of fresh lemon juice and serve with warmed flatbread.